Low-fat cooking en papillote pampers food while preserving flavours. Good for company as most of the prep can be done ahead of time. Preheat your oven to 425 degrees. Prepare 4 pieces of parchment paper (aluminum foil can be used if you are in a bind) for the papillotes, about 12 x 16 inches in size. Place a chicken breast on one half of the parchment. 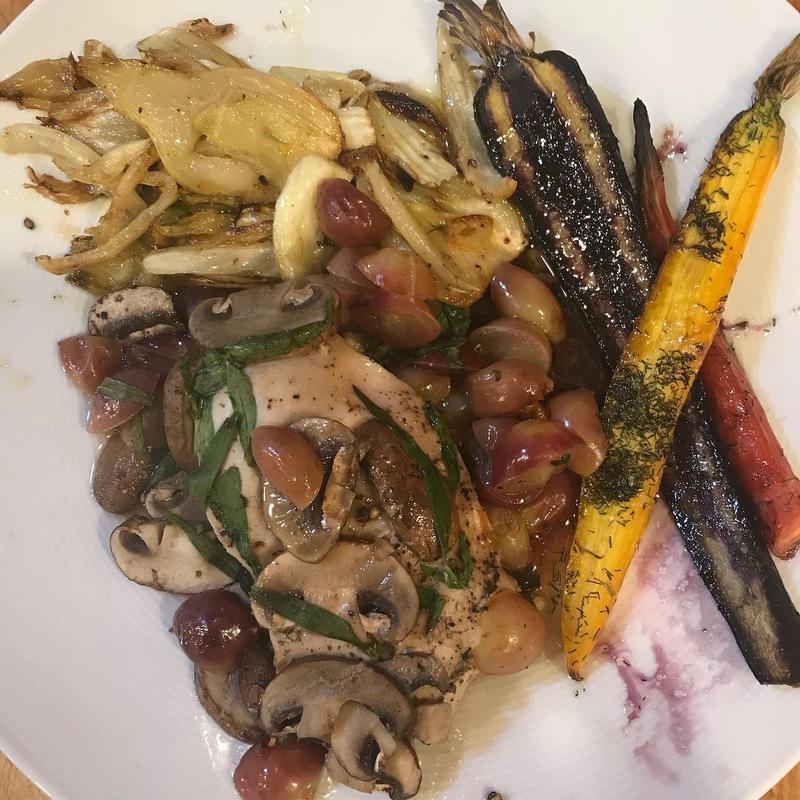 Distribute grapes, mushrooms, and tarragon over the chicken. Spoon a little brandy over the top and season with salt and pepper. Seal the packages, either with kitchen string or staples and place on a baking sheet. Bake for 15-20 minutes (depending on chicken thickness). Open one package and check for doneness. Chicken should no longer be pink inside. Open and transfer packages to plates. Serve. Goes well with a dark green vegetable and bulgur, polenta, or basmati rice.